Jump scares: they're the bane of some horror movie fans' existence — and for good reason. When used ineffectively, jump scares are nothing more than cheap jolts. They're no more impressive or memorable than that a quick jaunt through a decent haunted house. But when used appropriately, the jump scare can create some of the most startling scenes in horror movie history. Good jump scares make some horror films unforgettable. Who can forget Jason Voorhees's magnificent debut in the original Friday the 13th? Or Dallas's unfortunate meet-up with the xenomorph in Alien? Or the utterly terrifying jump scare from The Exorcist III (you know the one). If you love horror movie scenes that make you jump, this list of the best jump scares is sure to delight (and terrify). The Conjuring uses a lot of jump scares and stings. This one, featured in the film's trailer, is solid because of its simplicity. No loud or jangling music cue, no explosives of any kind, just two hands appearing from the darkness and clapping. Did you love this scene? This scene from Insidious feels a little like one of those "when you see it..." photos come to life. The only difference, of course, is that you don't have to search at all to see the creepy face looking over someone's shoulder, because it's RIGHT THERE! 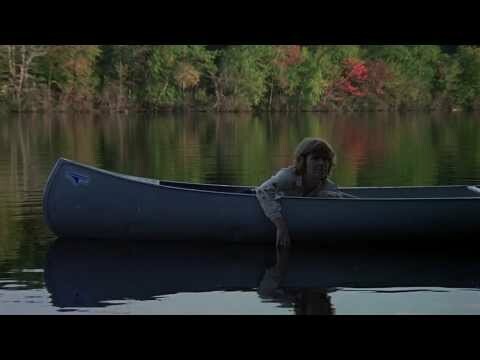 Protagonist Alice (Adrienne King) just decapitated the crazy, vengeful mother (Betsy Palmer) who was out to kill promiscuous camp counselors, since a group of them had let her son Jason drown years ago. Now, Alice floats in the still-as-glass lake. The police arrive. The music on the soundtrack is serene and beautiful. The nightmare is over. But no... the nightmare is just beginning! There are quite a few intensely creepy scenes in Mama, but this one takes the cake. The eerie, almost hypnotic flowing of the creature's hair, the unnatural length of her arms, and then her rapid movement toward the little girl all combine for one unnerving scare.